All good projects start with a vision – a vision of what the customer experience should be and how we would like it to be. Our team of experts work with you, to bring your vision to life and define specific requirements to make each users journey unique. 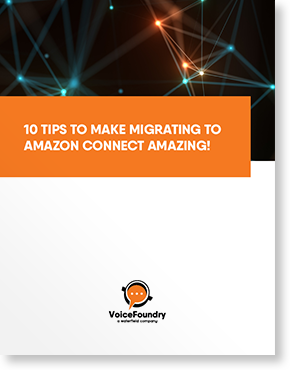 Are you migrating existing applications to the cloud or re-evaluating the contact centre call flow and want to make improvements, add other channels, or simply focus on optimisation? It’s those requirements that will help guide getting the right mix of technology and design expertise to make that vision a reality. Our focus is to enhance the quality of each interaction a customer has with your company which drives customer satisfaction and loyalty. We will conduct an analysis to evaluate your current process and provide solid recommendations for migration and overall development and implementation. Who is the user and what are their goals? Expert evaluation of usage data, structure, and persona design enables our specialists to get a clear picture of overall performance. Our approach is very data-driven with real-world results. What is the best design to address the business requirements? What is the right technology to help achieve those goals? We work to deliver recommendations on technology as well as diving deep into the design and flow of applications. Does the technology and design address the business requirements? Testing the design and flow of information are critical to ensuring that the recommendations will produce real bottom line results and achieve the vision of the customer experience. To confirm that the solution meets the requirements and delivers the expected performance results, our team conducts pilot testing of the application as well as data monitoring and periodic reviews. Contact us today and learn how we can help you take advantage of Amazon Connect and other services that can create the ultimate customer experience in your contact centre.